Ramallah (Palestinian Territories) (AFP) – US President Donald Trump’s hard-line approach to the Palestinians is similar to herding cows for slaughter, a top Palestinian official said Tuesday. 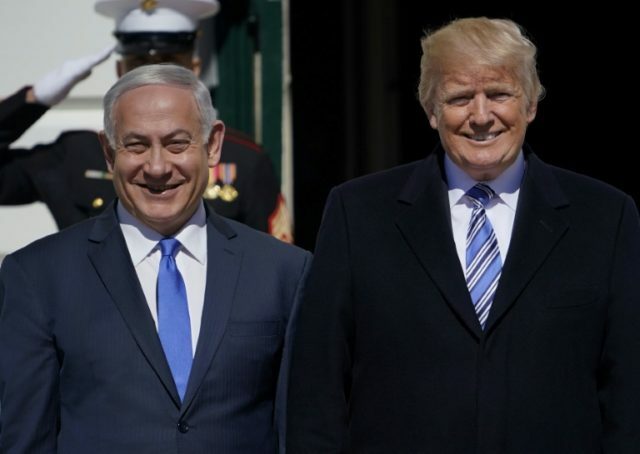 The comments came a day after the US leader welcomed Israeli Prime Minister Benjamin Netanyahu to Washington and ahead of the expected launch of Trump’s plan for Israeli-Palestinian peace. “Today what is happening with us is what you call in the United States a cattle shoot trap,” Mohammad Shtayyeh, an adviser to president Mahmud Abbas, told journalists in the West Bank city of Ramallah. He listed off a number of controversial Trump decisions, including December’s recognition of Jerusalem as Israel’s capital and his freezing of tens of millions in dollars in funding for the United Nations agency for Palestinian refugees, as evidence of a systematic attempt to squeeze them. Both the Palestinians and Israel see Jerusalem as their capital and the US decision to move its Israeli embassy there prompted the Palestinians to say the White House could no longer be the primary mediator between the two sides. “The Palestinians, I think, are wanting to come back to the table very badly,” Trump said as he sat alongside Netanyahu at the White House.